I decided to start a new blog post series and share my favorite German music with you. I believe that music is a fun tool to use when learning foreign languages. It helps you learn new vocabulary in context, improve your listening skills, and if you like singing, even help with pronunciation. It is important to choose the songs that you really like. 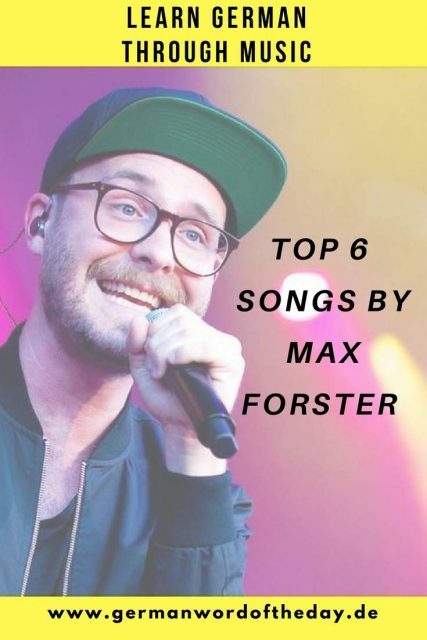 So if you don’t like Max Forster, come back later for more German music inspiration! Komm, ich zeig’s dir! – Komm, ich zeige es dir! – Come I will show you this! Wovor hast du Schiss? – Wovor hast du Angst? – What are you afraid of? Doch meistens hab’ ich’s nicht gehört – Doch meistens habe ich es nicht gehört – But mostly I haven’t heard. All this makes German songs not so easy to understand for beginners. I find German music to be a good listening exercise for intermediate and advanced learners. But if you are beginner and love listening to music, just read the lyrics in German and see the English translation, in case you don’t understand what is going on in the song. The first song is quite slow and should be easy to understand. Can you guess where the music video was filmed? This song was a big hit when it came out. This beat it really sticky, I warned you! One of my favorite songs with a positive message: No matter what, everything will be well. The last three songs are a part of one music video trilogy. See if you can notice the connection between the stories. Watch 00.20-00.30 for a perfect example of how many German teenagers communicate nowadays. I used to listen to this song a lot during treadmill workout, I still feel like running every time I hear it. And the last song is also quite slow and perfect for singing. 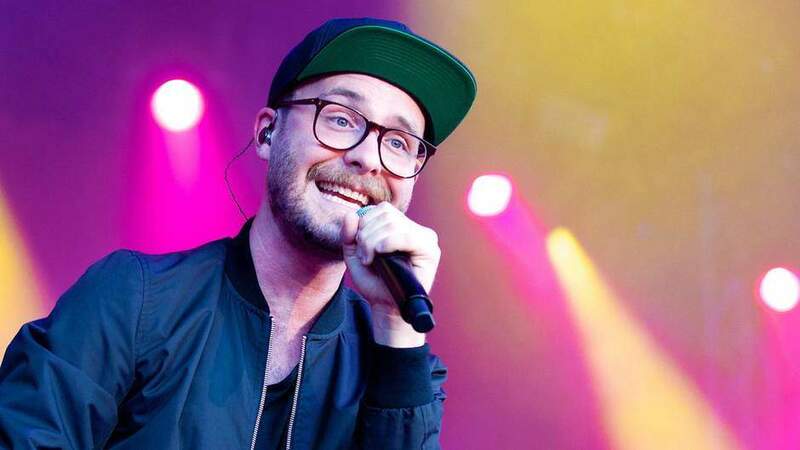 Now tell me, do you like Mark Forster? Do you want to see grammar and vocabulary exercises based on the lyrics? Also, share your favorite German music in the comments!